Basket of 15 White Seasonal Flowers. White Flower is symbol of purity and innocent. 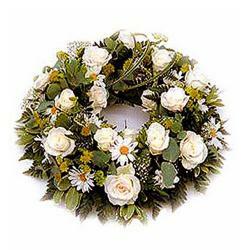 White Flowers makes anyone feel elated from the core as they have a natural beauty and attraction in them. 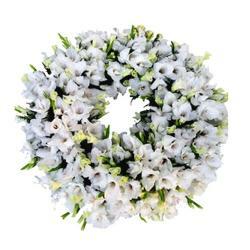 White Flowers are not only beautiful but also very elegant and premium to be gifted for anyone. 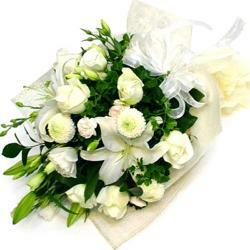 If you want to send a premium gift for anyone dear to your heart, White Flowers are the best. 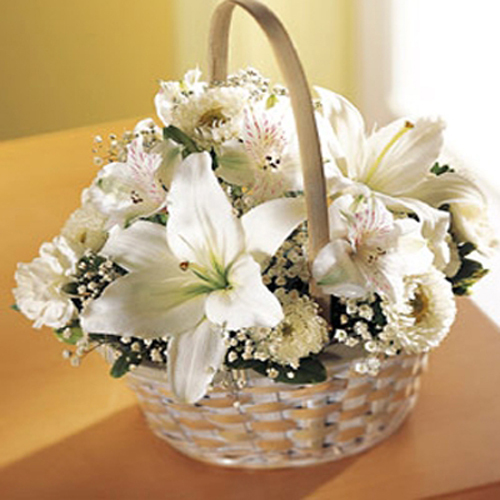 Have a look at the Basket of Fifteen White flowers which includes Lilies and Gerberas, that is good to go ahead as a gift for any special occasion for your loved ones. Anniversary or weddings, it will work very best. 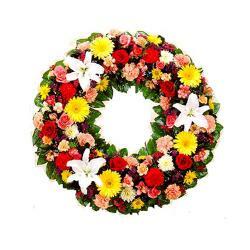 Product Details : Basket of 15 White Seasonal Flowers.